I have heard of that thing called a gardening journal, but never even pretended that I would keep one. That is, until now. I am not good with remembering to keep up with details, dates planted, variety, where, outcome, etc. But now, that I am paying more attention, I am wishing I had started one in March. I have to do things like this in baby steps, first locating an unused (or partially used) notebook and a pen and finding a special spot for them to reside. This could take days as I get caught up in the daily goings on of taking care of my 16 month and 4 year old. I should just get up and do it right now because in a moment I will forget. But, I am paying attention and want to take note of what worked well and what didn’t. I started many seeds very early this year, sometime in March. 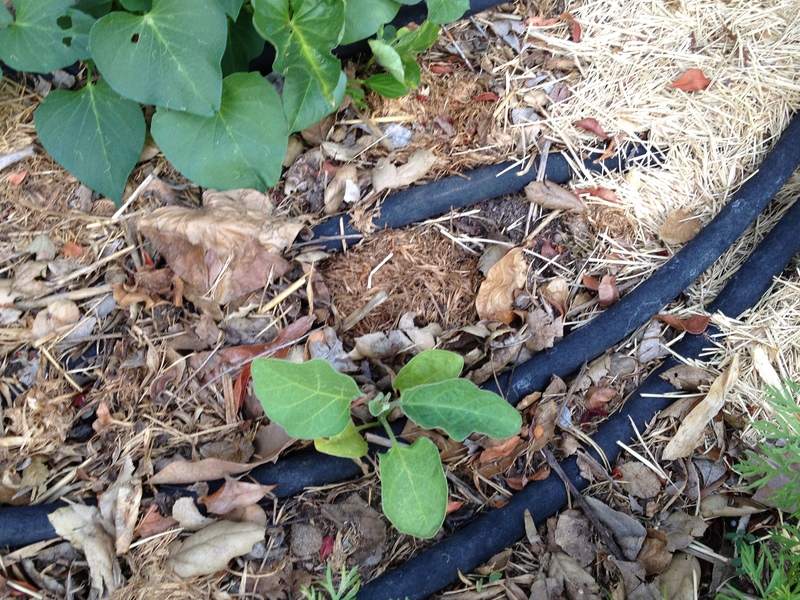 While all the tomatoes have done well, I have noticed a difference in the first and second plantings of my cucumbers and eggplant. I also had the crop of Calypso beans that didn’t do too well. I suspect I planted too early, but when exactly did I plant them? Hmmmm…. And, when did I start the second round of cucumber and eggplant seeds? Was it April or May? I wish I could remember. 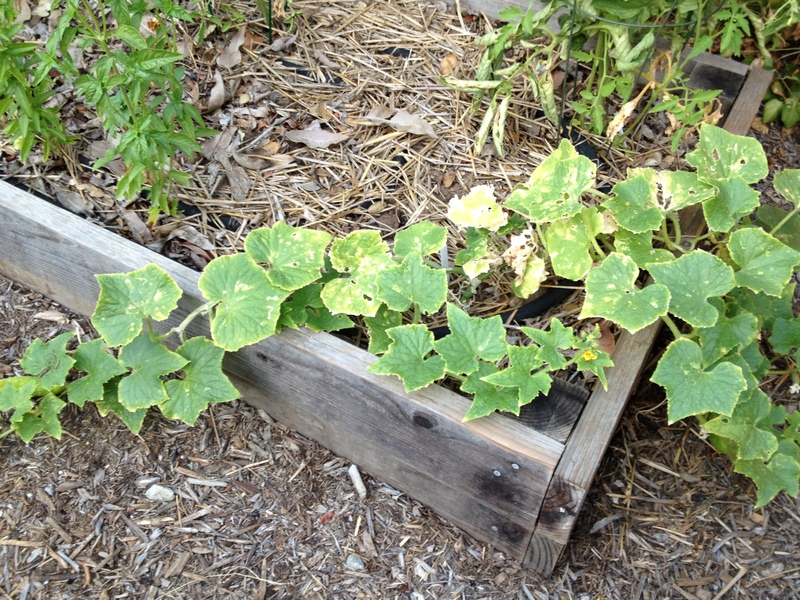 This is a cucumber I started in March and transplanted. I have harvested two cucumbers, but they were very bitter. I have a feeling the next two will be as well. 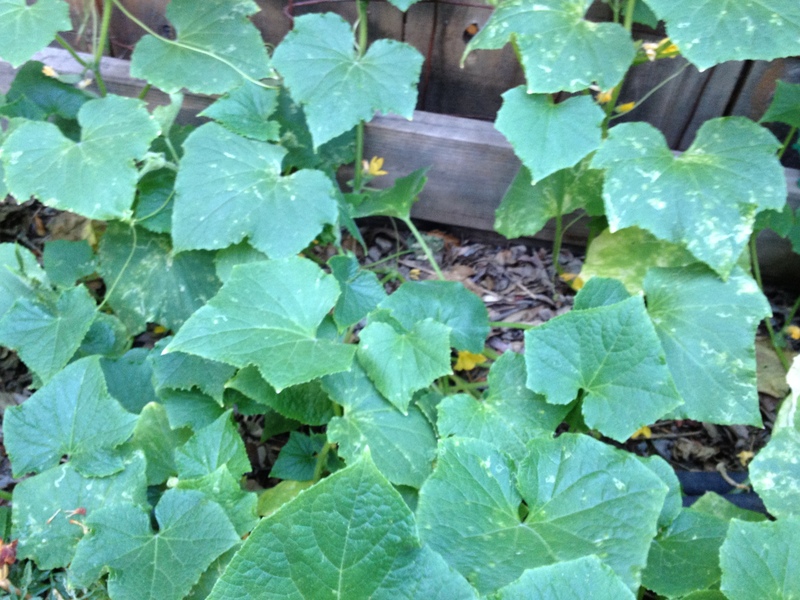 These are the cucumbers I direct seeded later in the spring. Granted this is a completely different bed. The soil could be better. The conditions are different, so it is hard to make a direct comparison. 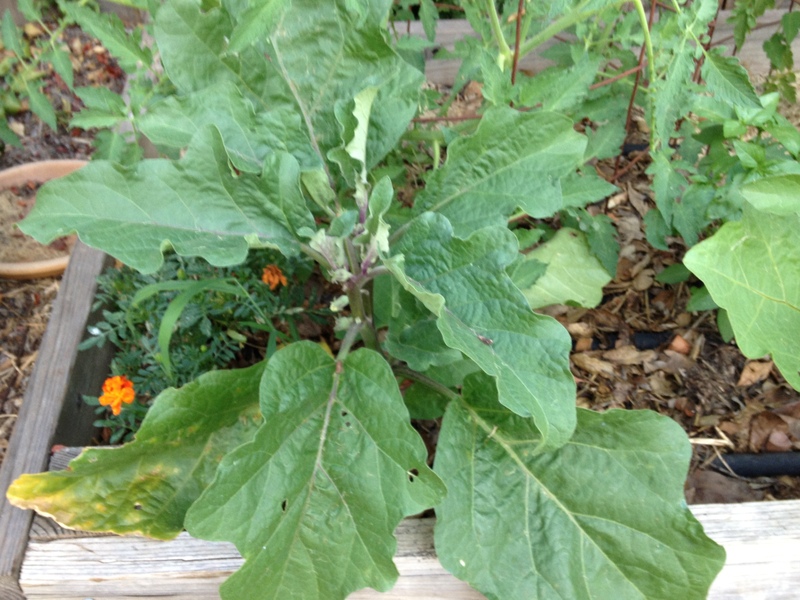 Later planting of eggplant versus the earlier planting below. Okay, I am going for that pen and notebook right now. Do you keep a garden journal? What kinds of things do you take note of? Do you have a special way to organize it, or do you just take notes chronologically? I would love to hear any and all advice about keeping a garden journal. I don’t keep a journal but the blog helps to reference things I may have forgotten about. I really should. My second plantings – especially the ones I did from direct seed – are in many ways doing way better than the mini plants I bought from the nursery. Go figure. I am hoping to be able to go back into my earlier posts to see if I can at least get a good ballpark of when I did the second plantings. 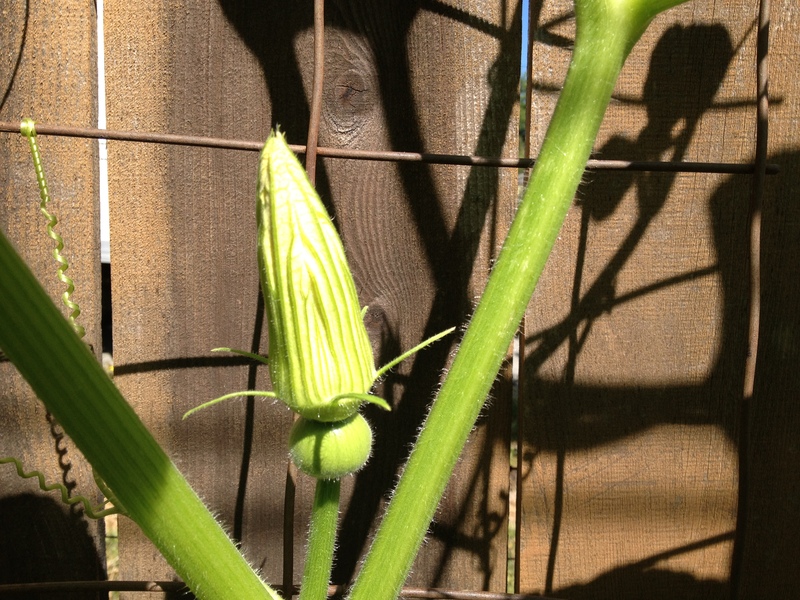 I think some veggies just do better when direct seeded…. Hi there. I loved your blog, it so reminded me of me! At the end of the last season (winter here now) I bought a new notebook to keep in my shed with my tools and so it doesn’t matter if my hands are dirty. I split it up into vegetable type and next season will use it to write down useful stuff like you described. But sorting it by vege means I dont have to trawl through dates or even different books for different years to find what I need. The plan is everything I’ll ever need to know about growing cucumbers in my garden will be right there under the heading “cucumber”. Hopefully this will work for me – so long as I remember to use it! I’m still new to garden journalling despite gardening for years. These are my intentions for the new season, so I thought I’d share! Thanks so much for sharing! I really like the idea of dividing the book by vegetable. I think I will try that out too. I really thought that I would be able to keep a garden journal, I was super obsessive and had “planting fever” in early march (I live in southern NY) when we had a week of ridiculously warm weather. I plotted my raised beds, I wrote exact dates about which seeds I planted, even jotted down when they germinated. There has not been an entry in that journal since April. So for this season I’ve given up, but I will try again next year, and I think blogging about our gardening experiences also helps. I love gardeningkiwi’s idea of writing things in an online calendar–that way it’s searchable, too. I am afraid that is what would happen to me. I would start and be really good about writing everything down, but then would let it go for months. I guess I won’t know until I try. Now, where was that notebook ;)? My notebook is a bit of a mish mash, but the main section is purely chronological, noting planting dates, dates of when plants emerged, notes on growth milestones and harvesting. It’s broken up by detailed pages of seed block planting and the odd sketch of a bed where I want a visual record of the season(s). I’ve also been taking notes on winter planting plans and just stuck these at the back of the book, out of a need for separation. It’s not terribly organized, but I’m glad it’s all in there. Like others I also love having my blog for fleshing out details and other kinds of reminders (such as what things looked like!). As exciting as a well organized spreadsheet sounds to me (having created one last year and then abandoned it), I know that a pencil and paper is what will work for me. I think pencil and paper will work best for me too. I think I will need to take notes right away. If I let it go even until the evening, I might forget. If it is a notebook, I can have it outside with me. I do like the idea of having sketches of what was planted where. I think I will include that too. Thanks for sharing! I did start one. Now, I just have to keep it up….And there is always the blog. I’m trying to, but it’s currently quite hit and miss. I’ve written down when I planted a number of things (I’m also trying to plant at the right moon phase) but forget to write down the outcome! I’m hoping to develop a habit of regular writing, perhaps through my blog. I was just thinking about this post a few days ago, so it is very serendipitous that you found it and commented on it! I recently stumbled upon my garden journal. It has been sitting on the bookshelf untouched for at least a year. I think the only pressing thing I need to document is which varieties of veggies I want to keep growing (and which ones I don’t). I think I can do that with a simple list. I just am not going to take notes regularly. I have come to accept that about myself. 😉 I hope your habit building proves to be fruitful!